Every month I love making little discoveries of new-to-me products from brands both familiar and new. This month's batch of favorite finds includes four products I am really excited about, and while definitely purchase again and again. From simple snacks such as pretzels to innovative products such as single serve guac, definitely don't miss these three products. Gluten-Free Options at Union Market in Washington, D.C.
After taking in a show at the Kennedy Center the night before, I debated whether or not to play tourist around the National Mall or go off the beaten track a little to find gluten-free eats with the few hours I had before catching the midday train back to Baltimore. Naturally, playing foodie tourist won out. With so many neighborhoods in DC, there is definitely no shortage of places to explore, but on recommendation from DC Gluten Free (@DCglutenfree on Instagram), I decided to set my sights on Union Market, a foodie playground where dozens of gourmet purveyors of fine foods assemble each and every day. Located in the NoMa neighborhood boarding Gallaudet University, Union Market is a bit off the the mainstream DC tourist track, but definitely worth the excursion. As I discovered, many of the vendors had gluten-free, dairy-free, and vegan options, and the market itself fostered a cool foodie vibe. This is a review of Ben & Jerry's new non-dairy ice cream. To see a review of sorbets which are also gluten and dairy-free, click here. 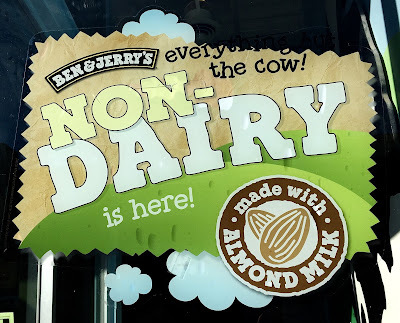 Well, the wait is over my dairy-free friends. After years of not being able to partake in Vermont's favorite ice cream, Ben & Jerry's has bravely ventured in to the non-dairy ice cream world. Launching this new line with four flavors, vegans and those who cannot have dairy will soon be able to find the new ice creams at local grocery stores. Until then, the best place to find the new ice creams is Ben & Jerry's scoop shops. While exploring around Georgetown in Washington DC, I popped in to the neighborhood scoop shop and found all four of the new flavors in pints only (not scooping currently but hopefully someday). So excited to get a firsthand look at the ice creams, I bought a whole pint to take back to my hotel and enjoy (thank you Residence Inns nationwide for having freezers in every room!). I guess one bonus of buying the whole pint is no chance of dairy/gluten cross contamination... right?! Although I have been taking advantage of every opportunity to get out and about to check out restaurants this semester. A demanding course load and two part time jobs have really absorbed most of my free time. Despite my tighter schedule, I have been able to sneak in restaurant excursions here and there- especially when they are tied into social outings. 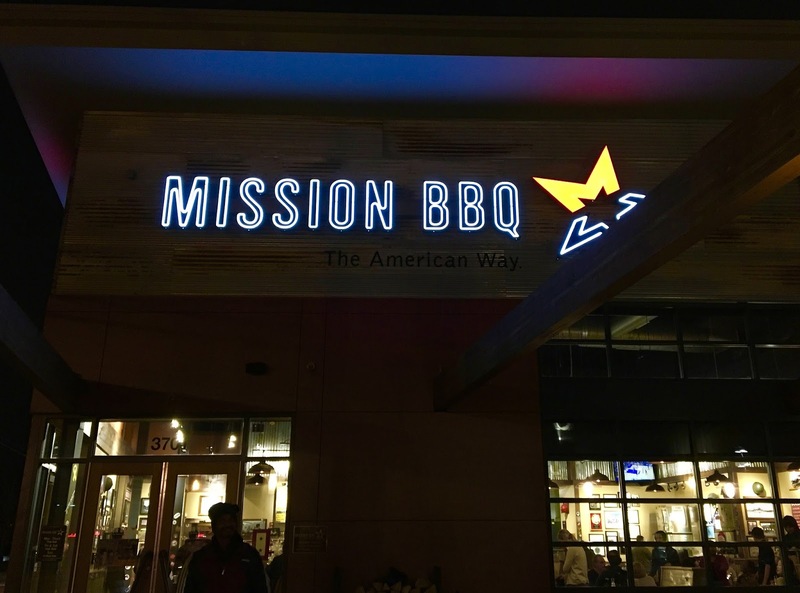 Such is the case for my recent visit to Mission BBQ in the Canton neighborhood. A Baltimore-based group of friends I am a part of decided to reconnect for dinner at the all-American restaurant, which proved to be the perfect opportunity to check it out. 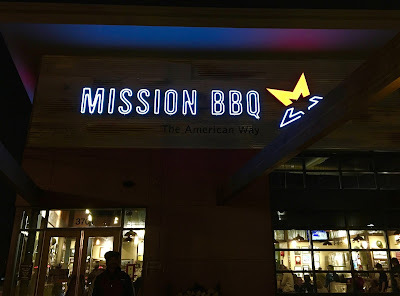 With a good gluten-free rating on Find Me Gluten Free and a full menu of gluten-free friendly eats, I couldn't wait to give Mission BBQ my full consideration. Beginning earlier this month, I have begun preparing for April, in which I will devote the whole month to all things gluten and dairy-free baking. Part of the process is seeking out awesome brands to showcase, and topping that list of brands I wanted to partner with was EatPastry. This vegan company produces downright amazing gluten-free cookie dough (see my review here) that's edible pre-baking. 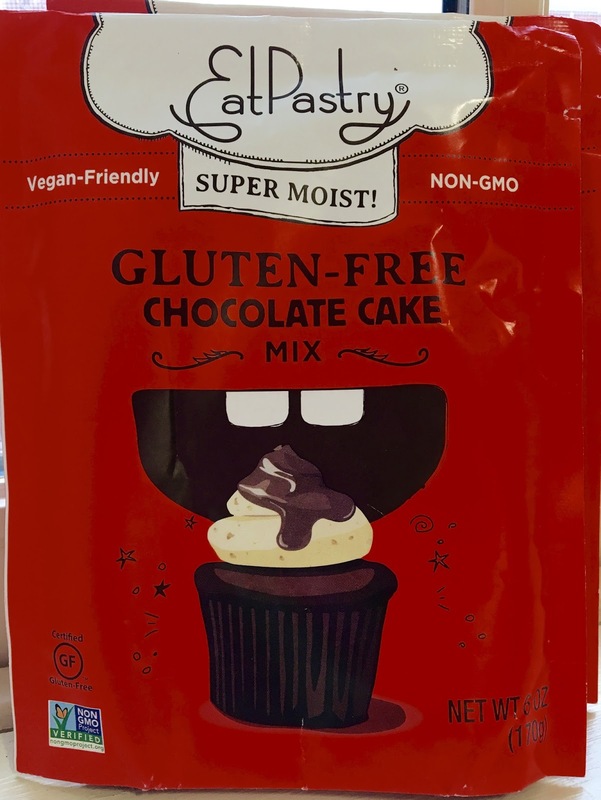 Unfortunately, EatPastry's baking mixes are discontinued currently, but Jessie Williams, the brand's founder, generously offered to send me a couple of the remaining mixes to sample and review. Naturally, I was totally up for the opportunity to check them out! What's cool about EatPastry's mixes is that they are gluten-free, vegan, and non-GMO. They don't require unusual ingredients to mix in with them and are perfect for portion control because each pouch prepares 4-6 cupcakes or a 6" cake. As a blank canvas, bake them up plain and simple, or exercise your creativity by adding mint extract or adding your favorite mix-ins (butterscotch chips, nuts, marshmallows, or whatever your heart desires). With simple-to-bake instructions and easy preparation, EatPastry's mixes are a perfect pantry staple whenever the urge to bake strikes. Nando's Peri-Peri is a chain restaurant that has quite a few locations in the DMV area (DC, Maryland, Virginia for all of you out-of-towners). I stepped into the Towson location about a year back to check for gluten-free options but left empty-handed due to a lack of dairy-free options. The gluten-free options however, were plentiful and alluring. Fast forward to last Friday when I found myself in downtown Baltimore with a couple hours to occupy before a Baltimore Symphony Orchestra concert that evening. Although I considered grabbing dinner at a familiar location, I decided to make a return visit to Nando's Peri-Peri after noticing new-to-me dairy-free additions to the menu. Nando's Peri-Peri's cuisine is centered around Portuguese-style flame grilled chicken. With that culinary foundation, Nando's infuses a bit of spice to create irresistible chicken. If all went well on the gluten and dairy front, I had high hopes that I could add Nando's to my list of safe restaurants I could rely on. Although I love exploring the Baltimore area, this semester has been the busiest one yet, which has limited my opportunities to get out and about. Luckily, a foodie friend invited me to adventure around uptown Towson, which offered a nice array of shops and restaurants to explore. 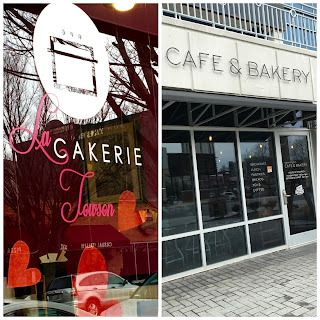 During our stroll, we stopped by La Cakerie and Cunningham's Cafe and Bakery, two restaurants that I knew had gluten-free options, but had never stopped by to check in to them. 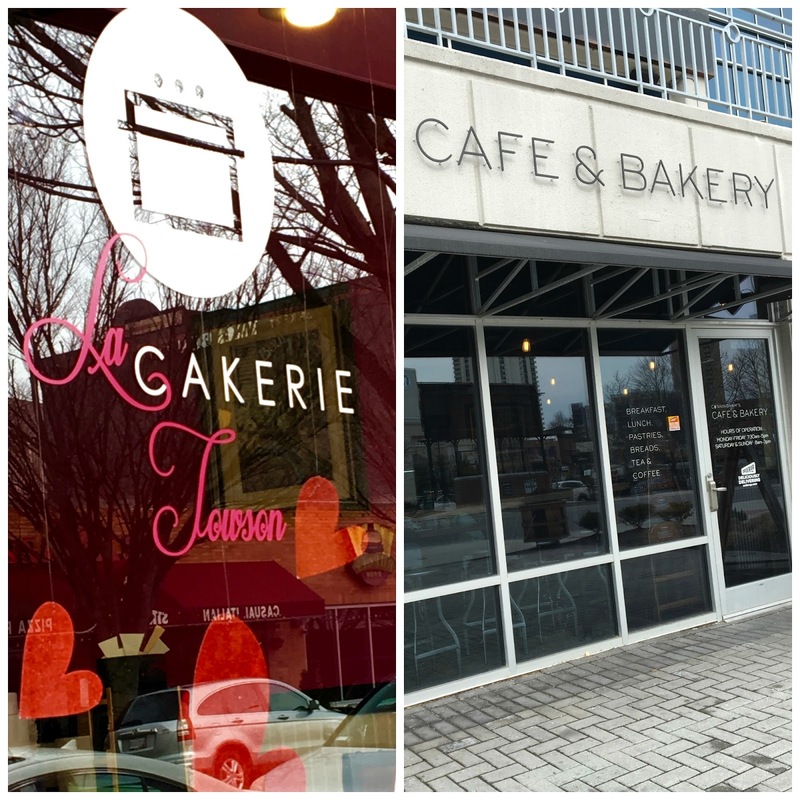 While I couldn't actually eat at the former (due to dairy) and only stopped for a hot drink at the latter, I figured I would write a post featuring them to alert fellow Baltimoreans that these two bakery cafes might be ones to check out if you are in the area. Especially with the chill in the air, nothing is more delicious than a fresh-made pastry or giant mug of something warm and filling than a bakery and cafe with gluten and dairy-free options. A delicious loot of cookies, cider, and fresh eggs. Now that I am settled back in Baltimore, I have resumed one of my favorite routines- visiting the 32nd Street/Waverly Farmers Market on Saturday mornings. 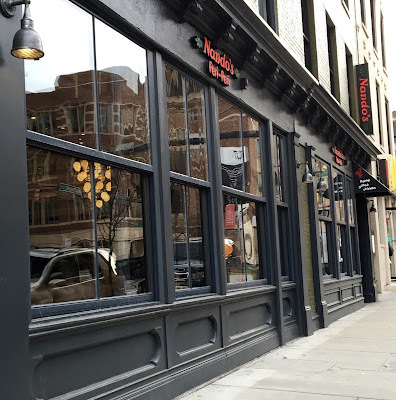 Although there are bigger markets around town, I love the unique character and availability of gluten-free goodies that can be found in this neighborhood-centric market. Fruits and veggies of all types abound, local dairies bring fresh eggs, and other vendors offer baked goods. You can find my previous review of vendors at this link. On a recent visit, I noticed several new vendors, who have come to the market during their Winter session. Offering cookies, bliss balls, and cider, these treats are worth braving the cold on a Saturday morning. The market runs year-round without fail (except for last month's blizzard) and is located at the intersection of Barclay and 32nd streets. It's definitely a Baltimore attraction that's not to be missed! If you came here looking for gluten-free and dairy-free reviews and are wondering what website you are on right now, don't panic. Hello, it's me- Amanda- your gluten-free and dairy-free tour guide on Eating Out Without Gluten and Dairy. Going into my third year of blogging, the time had come for my little blog to grow up a bit, taking on a new name and new look. After all, since the beginning, I have expanded my focus from exclusively restaurant reviews to now including product reviews and coverage of events in the celiac and food allergy world. The blog had simply outgrown it's original conception and name. In the reimagined blog, now named Gluten & Dairy-Free Review Central, not much is changing content-wise. Reviews will still be 100% authentic and independently tested by me, because I value honesty above all else. My social media streams will continue focus on gluten and dairy-free products and advocacy, and show off how I live as a college student with food allergies. When it comes to gluten-free pizza, Baltimore has some serious contenders for my heart (and wallet). The only problem is that my favorite pizzerias are located in Baltimore city, which is pretty inconvenient for me to frequently patron because I live north of the city in Towson. Luckily, Towson has a newcomer on the block who is bringing gluten-free pizza to the area which has sorely lacked good GF options. Slice on the Avenue, earning its name from it's original location in White Marsh, recently opened up a second location on Towson's Pennsylvania Avenue, tucked off the ever-busy York Road. With a menu featuring a dazzling array of gluten-free and vegan options, I had high hopes that Slice on the Avenue would be the answer to my gluten-free pizza prayers. Shortly after they opened their doors, I took advantage of a sleepy Sunday morning to give them a proper taste test and formally welcome them to my neck of the woods. When it comes to beverages, my preferred drink of choice is water. Soda just does not appeal to me, especially since most brands pump their soft drinks up with caffeine, fake sugars, and other ingredients that spell disaster for your metabolic system. However, during the "Baltimore Blizzard" at the end of January, I was snowed in for 72 hours to an off-campus hotel, where curiosity compelled me to seek out what gluten-free and dairy-free options- if any- could be found in the hotel's mini "convenience" store. While few items were safe for me to eat, colorful sodas from Maine Root caught my eye, both for their usage of an unrefined sweetener and their Fair Trade certification. This soda, I knew, was different in a good way, so I decided to break my multiple years-long streak of not drinking soda. When it comes to getting your bang for your buck with food, it's really hard to beat beans. They're heart-healthy, low in fat, protein-packed, and help regulate blood sugar, all while being budget friendly and endlessly versatile in a variety of cuisines. I am already a big bean proponent, but often do not have time to prepare dried beans at school and want to avoid BPA exposure through canned foods. 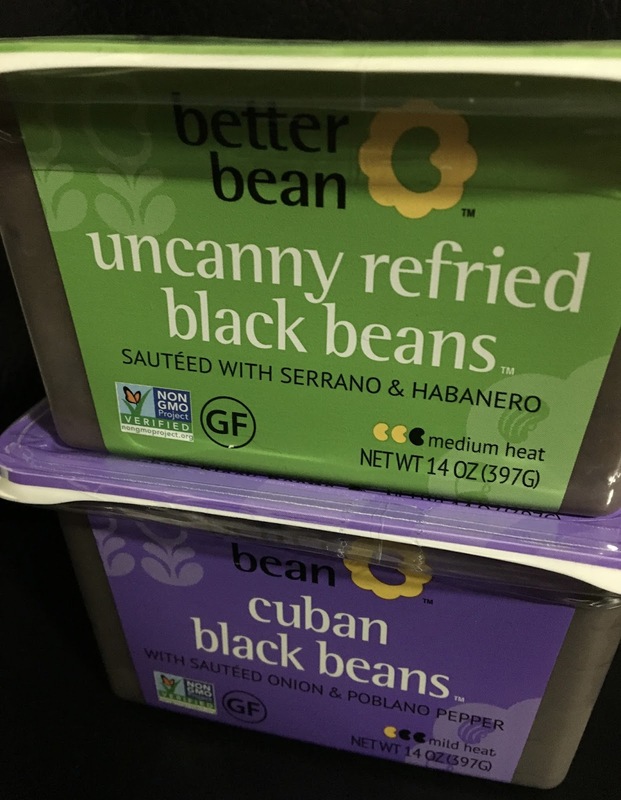 Luckily, the Better Bean Company is a company that is thinking outside the bean (pun intended) to serve up beans in creative and healthy ways. With a full line of products, I couldn't believe that it's taken me this long to discover their presence at my local Wegmans. Besides downright delicious beans, what really impressed me was the company's B Corporation status, which means that they are certified "to meet rigorous standards of social and environmental performance, accountability, and transparency." That means that these beans not only taste good, but do good for the environment and the community.